-Takumi has a specific face she does. It's basically the face from her Valentine's SR+. -Kirari won't frown during a song. She only makes a expression. 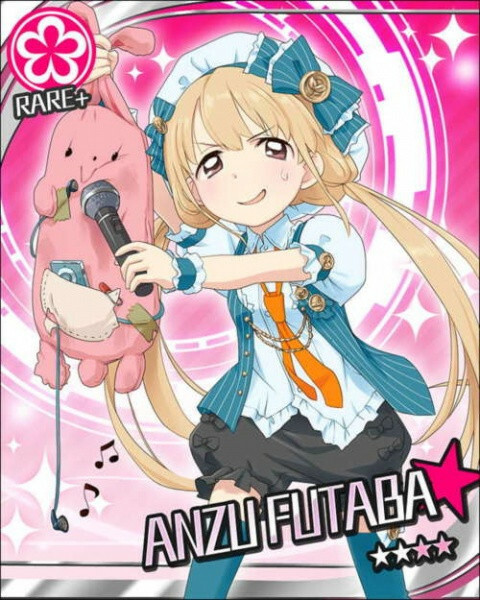 Anzu makes her awkward smile at the end of both, Anzu no Uta and Happy x2 Days. Only if she is in the leader position.